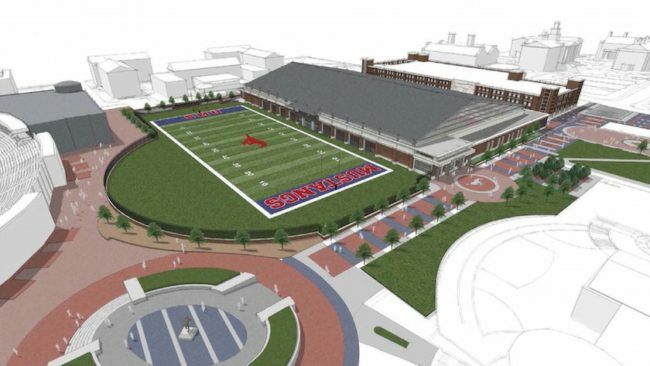 SMU has announced another major athletics facilities plan. According to a university release, SMU will build an indoor practice center that will include a full-sized football field and a 300-meter track, with an outdoor grass football practice field next to it. The project will also include a new soccer field for men’s and women’s soccer. SMU said it expects to spend $150 million on its Athletics’ Facilities Master Plan. The indoor facility and soccer field are the first phase of the plan and will cost around $50 million. The practice center and adjacent outdoor field will be built on the current site of SMU’s soccer field and outdoor track, just north of Ford Stadium. The new soccer field will be along Mockingbird Lane near Bishop Boulevard, on the site of SMU’s current outdoor football practice field. SMU did not announce a start date for construction. The expected completion date is 16 months from the start date. Since 2001, SMU said it has spent more than $200 million in athletics facility upgrades. A renovated Moody Coliseum opened in 2014, a new tennis center opened in 2015 and an aquatics center is currently under construction. 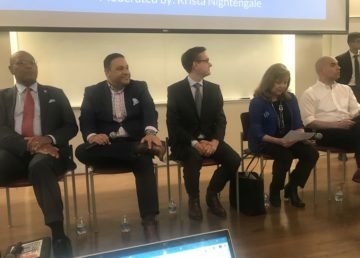 The announcement comes a week after SMU said it is interested in joining the Big 12 conference, which said it will explore expansion.